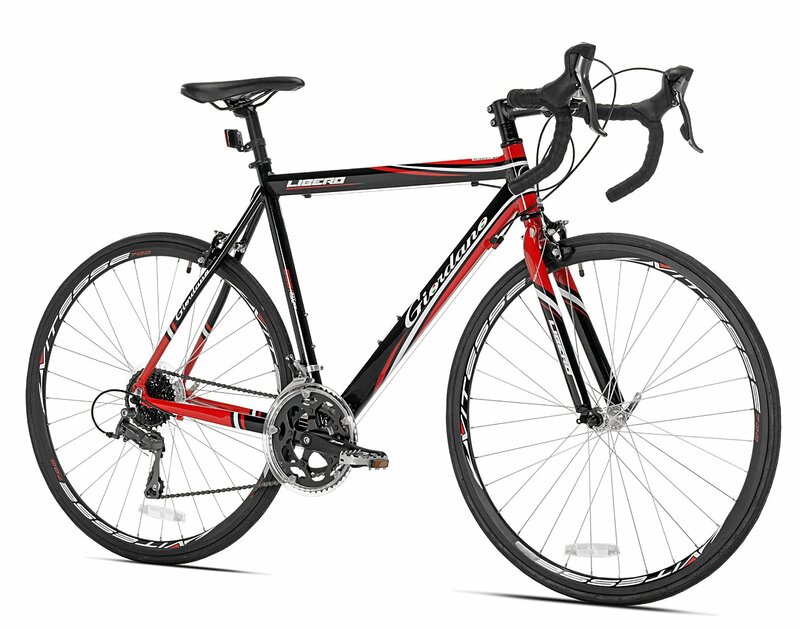 The guide will give advice on the best road bike for beginners under $500. Enjoy. He's taken up road cycling. Unlike his diet, it's something you fancy giving a go. However, you're not quite ready to shave your legs like the pros. So, this guide will show the best road bike for beginners. And, to keep things within budget, they'll be under $500. I hope it eases the transition into the world of questionably tight lycra, just a little. Disclaimer: The bikes reviewed here are from the Amazon store only. There’re also many bikes worth taking a look at from online sites such as Competitive Cyclist, Evans Cycles & Wiggle. If you have the option I also highly recommend going to a proper brick and mortar bike shop. You’ll be able to see the bike in person, check for fit, and for comfort before you commit. Flat Bar Frames - Offer a more upright position and are popular among commuters for their increased visibility and stable ride. Check out this review on hybrid bikes if you're interested in these. Drop Bar Frames - Put the rider in a slightly more aggressive position with relaxed steering. Ideal for daily workouts or longer rides. Performance Frames - More competitive riders should go with speed focused bikes. They improve the rider's performance by leaning the rider forward to reduce drag. The frame is stiff with responsive steering. Aluminum - A lightweight and low-cost material that is an excellent choice for recreational riders. Steel - Heavier and stronger, great for touring bikes that are traveling long distances and carrying lots of weight. Carbon Fibre - The lightest of the three materials. It's strong and dampens vibrations for a smooth ride. The number of gears on your bike corresponds to the range of gearing. Simply put. The more gears, the more choice you have when going uphill and downhill. Related Post Today It’s The Brooks B15 Against The B17: Who Wins? After deciding on the type of ride you'd like, check a bike size chart to work out the proper sized frame for you. The ﻿Tommaso Imol﻿a Compact has a compact aluminum frame that's combined with a SST steel. This gives you the best that both metals have to offer, making it extremely durable. What's more, the bike is backed up with the industry’s leading Lifetime Frame and Fork Warranty. Great if any mishaps happen to the bike further down the road, and gives you peace of mind when riding. It has Shimano Claris Shifters, Shimano Derailleurs, and a Shimano Cassette. With great components, it ensures that your gear shifts are always smooth, and because of their positioning, you can both break and change gear without moving your hands. Not having to move your hands great as you have complete control over your gear changes and braking at all times. The Imola has a Shimano Claris Tripe Crankset in the front and a 12x25 cassette in the rear. This gear ratio gives you a total of 24 speeds, plenty for when the road ahead gets steeper, and you want a little extra to help you get over the top. The compact frame geometry and premium compact handlebars are what makes this bike stand out from its competitors. 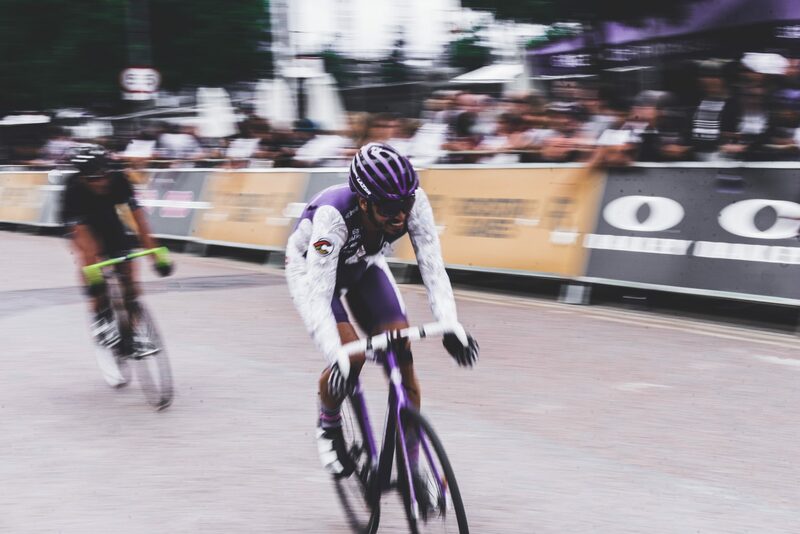 The UltraCompact handlebar allows every rider to ride more comfortably in the drops, this reduces wind resistance, enabling you to ride, harder, fast and for longer. This design gives you comfort in a sleek package. The bike has power, but it also has great functionality. The triangle at the rear of the bike is drilled for pannier racks or fenders, making it an ideal bike for the weekly commuter as well as a racer. For the fashion conscious, the bike is available in three different colors. Different colors are great if you want something a little bit different. There's a gold version for those that want to stand out. It’s worth mentioning that professional assembly is required for this bike, so if you were hoping to ride it straight out the box, you'd probably be disappointed. You’ll need to attach the handlebars, wheels, seat, and the pedals. If you’re unable to set it up on your own, just take it down to any local bike shop, and they’ll be more than happy to do it for you. 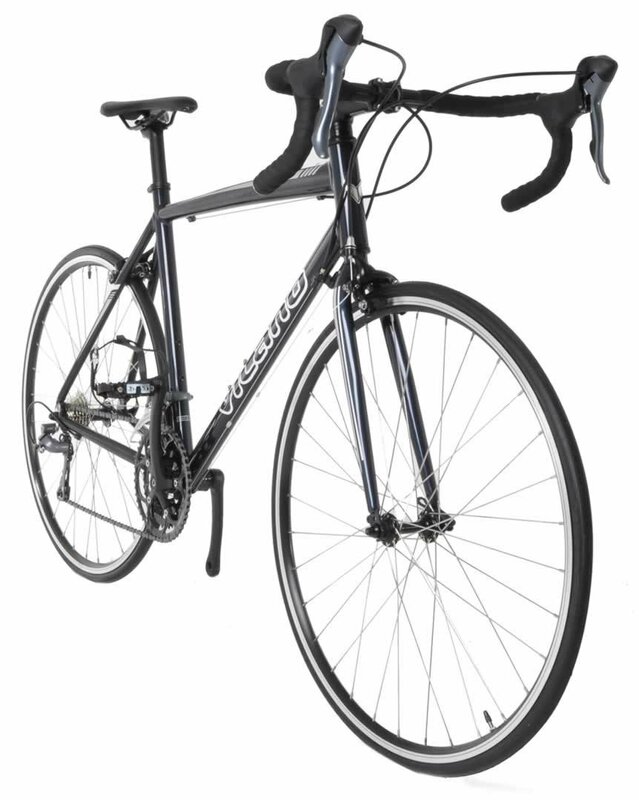 The Giordano Libero 1.6 has a lightweight handcrafted 6061 aluminum frame. 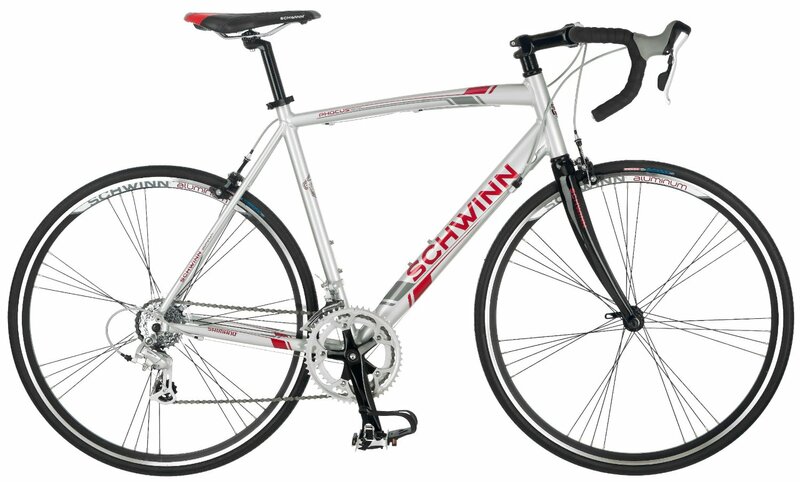 Combined with a 16-speed Shimano STI drive train, and detailers matched to an aluminum road 50-34 compact crank. This means it’s built for speed, and it’s light enough for you to fly up hills. The components are great, but it doesn't have as many gearing options as the Tommoaso Imola. This is something worth considering if having more gears is important to you. 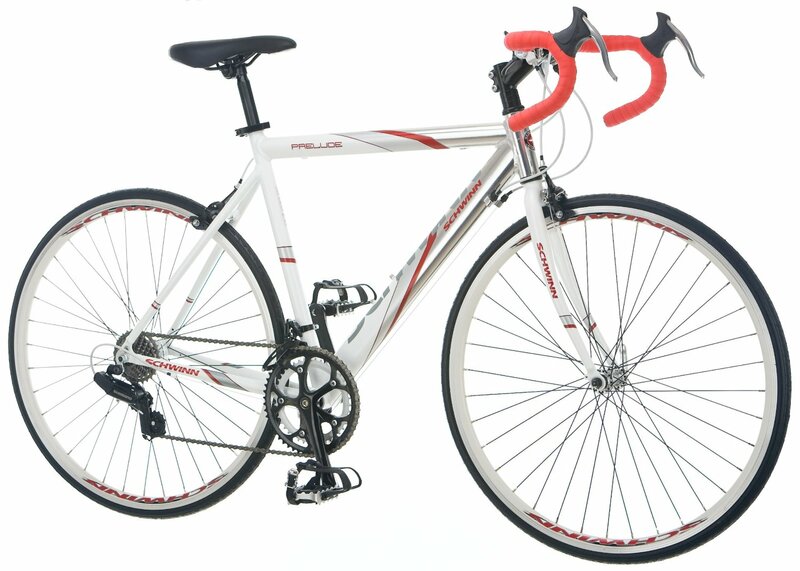 The bike has 32 spoke high profile quick release alloy rims. Quick release alloy rims it incredibly easy to take the wheels off the bike without any tools quickly. Great if you’re looking to transport the bike around and what to chuck it in the back of the car. However, with this option, you’ll want to make sure you have a great lock to keep everything secure. The Giordano expects you to ride it hard. Hard riding is why they've attached dual water bottle mounts to the frame. 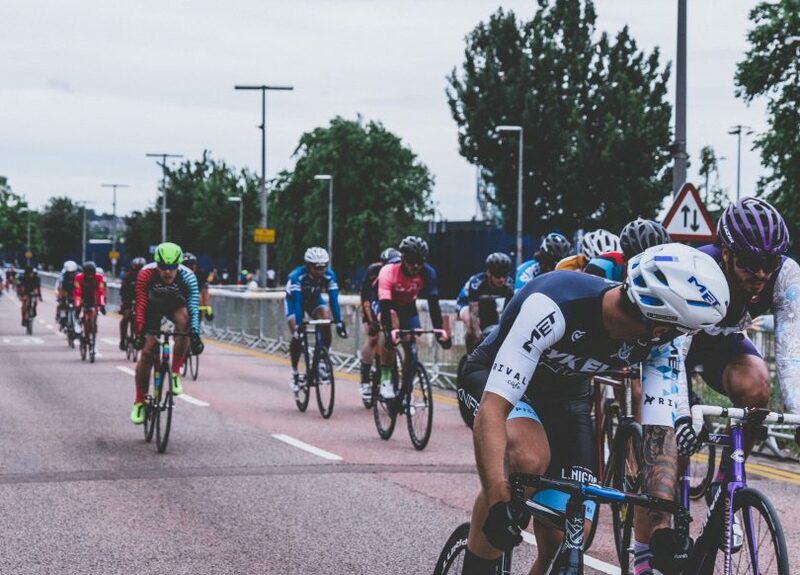 You’ll need to continuously keep hydrated throughout the ride if you are pushing it. On days that you’re not testing your limits, you can use the additional bottle mount for other accessories, such as a small pump. This bike is a full on racer, so no fixtures are allowing you to put pannier racks on the back or front of the bike. You can find racks that attach to the frame itself or the seat stem, but I would always recommend buying a bike with proper mounts built into them. So if you were hoping to use this bike for commuting, then perhaps it’s not the one for you. It does, however, come with a removable kickstand. A kickstand means that while everyone else has to look for a wall to rest their bike against, you can just open up the kickstand and rest it wherever you like. Great if you’re pulling up to the top of a hill and want to admire the view. As with the Tommaso Imola, a professional assembly is recommended. You could always attach the handlebars, pedals, and a few other minor items yourself, and then take it to a bike shop for them to quickly fine tune everything for you. 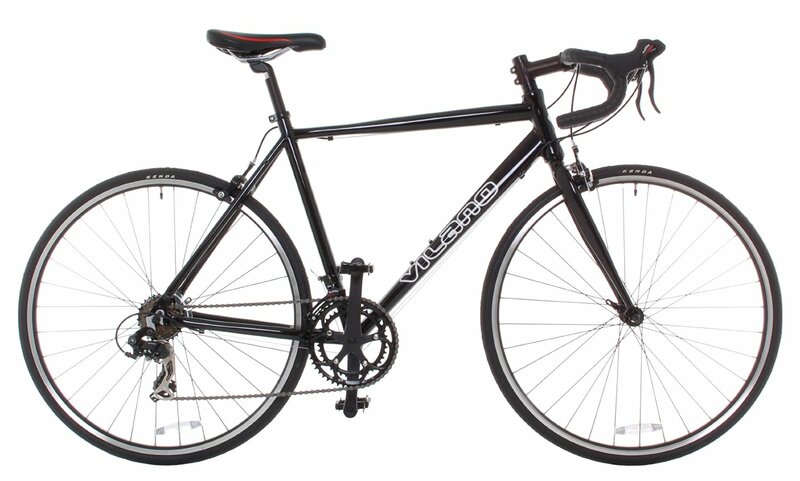 The Vilano Forza has a durable lightweight 6061 aluminum frame. The frame combined with 24 speeds means that it’s able to stare in the face of big hills, and destroy them! Unlike the other bikes in this review, the Forza comes with pedals that also have a toe cage. A toe cage is a great pedal for those that want the power of a clipless pedal, but don’t want to have to buy specific cycling shoes. I use them on my bike, and they’re perfect for when I cycle to town, as it means I don’t have to take two pairs of shoes with me. As with the Tommaso Imola, the Forza has integrated gear and brake levers. Making gear changes and breaking much safer and easier. Having integrated gear and brake levers means that this is the lowest priced bike on the market with this feature. So definitely a big thumbs for anyone that’s looking to get into cycling, but doesn’t want to spend a huge sum of money. If you fancy training indoors, this bike will fit any Kinetic turbo trainer model. Which is ideal for those winter months when training outside is a little less desirable. As with all the bikes ordered from the internet. Professional assembly is required to get it up and running smoothly, although you can do little things like lubing up the chain beforehand. Take a look at my Bike Size Chart for guidance on this. As with the Giordano, the Forza only comes in the color that you see. So if you fancy some variety, you'll have to switch up the saddle or handlebar grips. 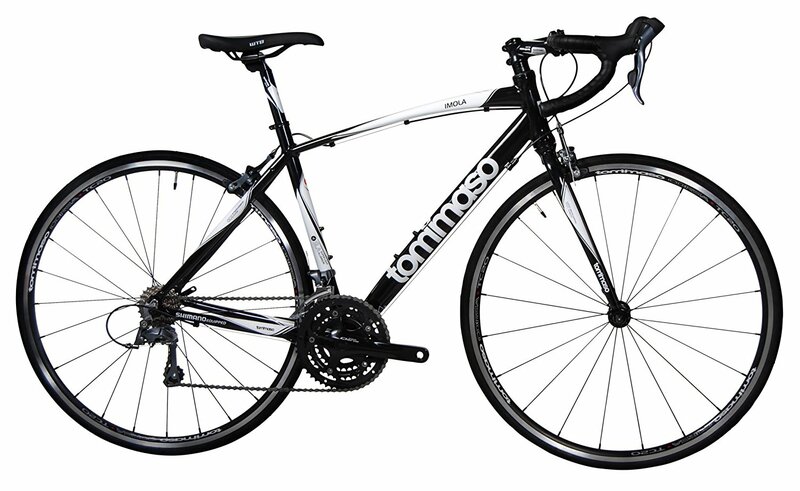 The Tommaso Imola is the best road bike for beginners. The ability to attach pannier racks for commuting. And components such as integrated gears and brakes. All of which you'd usually see on much pricier models. A great investment for anyone looking to get their first road bike.